Peas, corn, okra, tomatoes, squash, and sweet potatoes are as nutritious as they are tasty. Mainstays of southern diet, they provide a healthy alternative to meat and potatoes menu. 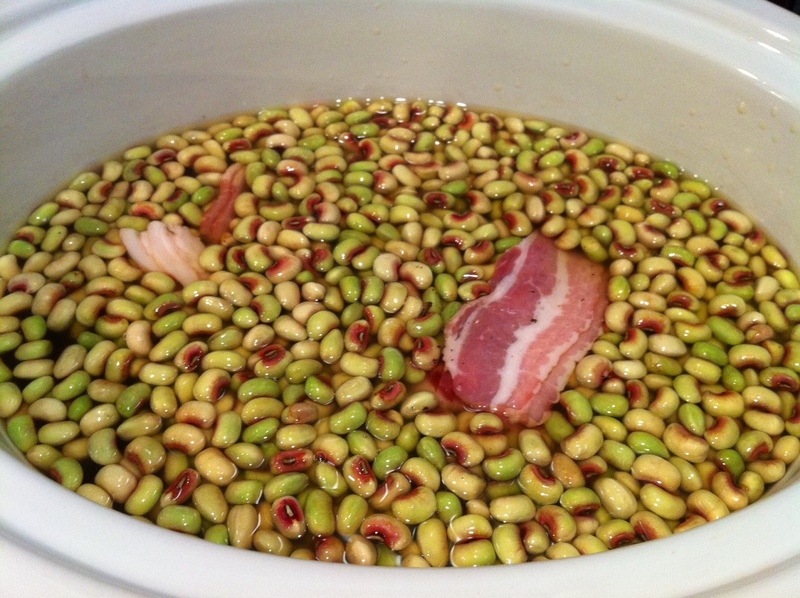 One restaurant in Northport, Alabama, features a different kind of field pea on each day of the week. Reports of peas go back to 2300 BC and are eaten by an estimated 200,000 people a day worldwide. Paired with cornbread, peas provide protein to replace meat. It ain’t because it tastes so good, It keeps them on my knife.” Old country folksong. So you thought black eyed peas were a country form of the more elegant green pea southerners call English pea. There are stories about dry peas being the only edibles let behind after Yankees had taken livestock, potatoes and corn. The dry pods kept for eating during the winter and planting the next season, sustained survivors left behind when the males of the households did not return from war. Peas, brought from Africa with the slave cargo, provided the protein and calories the keep families from starving. 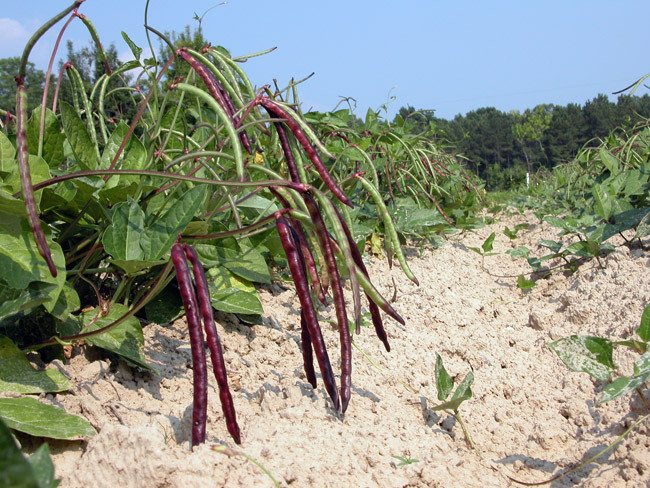 Field peas, often called cowpeas, are a staple of the Southeastern United States with controversy about their origins. 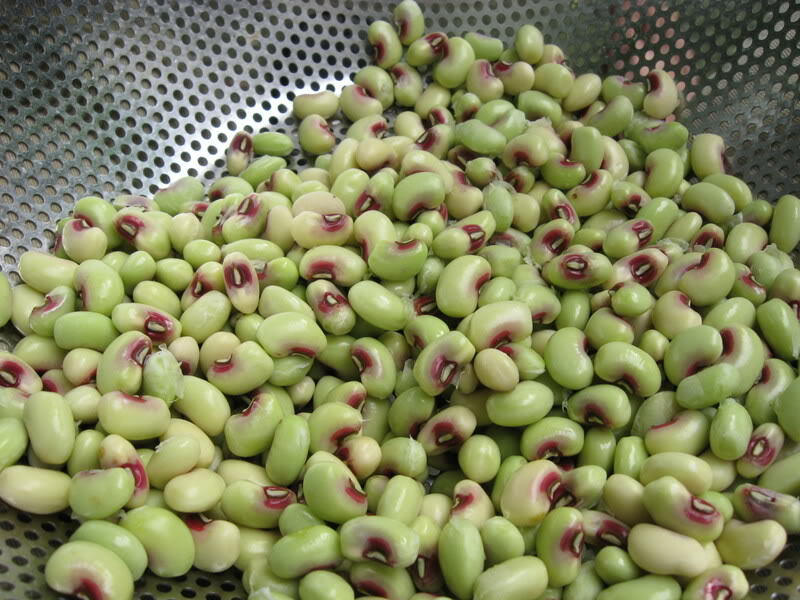 They are legumes grown in Asia, Africa, parts of southern Europe, and Central and South America. Peas flourished in the hot, dry fields that had nutrients exhausted by cotton and tobacco. Its ability to pair with other plants like corn increased the food value from limited field space. 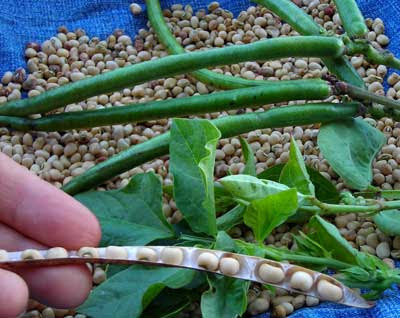 The large seeds could be sown or scattered, in lightly cultivated soil, sprout quickly, and provide nitrogen for corn. The long runners climbed the corn stalks, fertilized the soil, and by heavy shade from leaves reduced the weeds that steal the limited moisture of hot, dry August days. Farmers learned that when peas were picked and leaves grew sparse, they could cut the vine back to a hand’s length and watch the plants renew in the autumn rains. New growth meant that fresh peas graced the table until frost. The many varieties have names like Purple Hull Pink Eye, Whippoorwill, Lady Pea, Red Ripper, California Blackeye, Black and white Holstein, Blue Goose, Monkey Tail, and Ozark Razorback. Since farmers saved seed to plant many families had crossbred distinctive varieties that bore the family name, like. Regional favorites were debated but the many advantages of the multipurpose crop are accepted in many parts of the world. Farmers often sow seeds in the fields where corn has been harvested to provide green foliage for farm animals and wild animals. The dry foliage is easily stored for animal feed. Peas are the subsistence food of many nations, the poor man’s manna. Cook in boiler at moderate heat for 30 minutes. 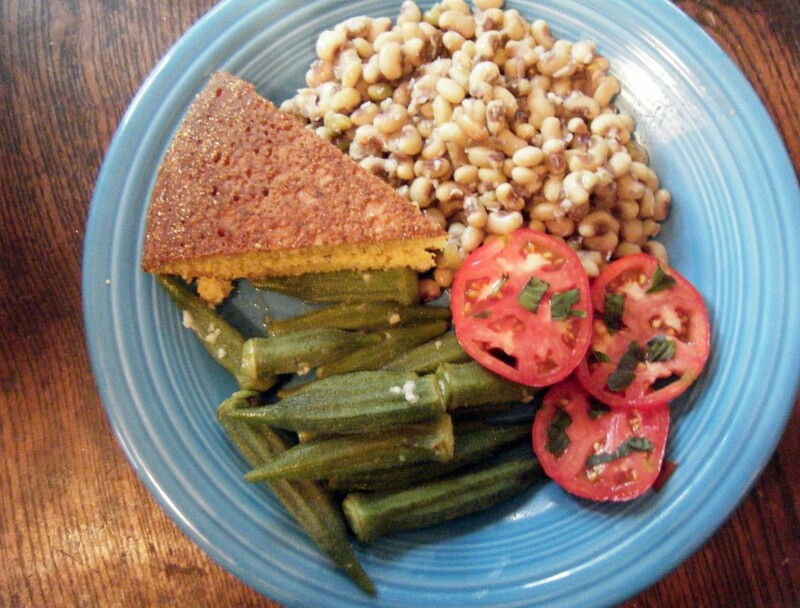 Serve with Cornbread, fried okra, corn on the cob, sliced ripe tomatoes and sweet potato pie. That picture at the end made my mouth water LOL. Nothing like it. i can eat this all day with out a meat dish. I love them but since dieting, I had to leave the peas off because they are high in calories. my favorite with onion cornbread an mayo.oh yes. Peas please with mayo, onion, fried corn, bread n butter pickles, sliced tomato, & cornbread Don’t think God made anything better than that !! No wonder I tilt the scales!!! Bama mayonnaise and purple hull peas. That’s the ticket. did i miss something – which restaurant? Oh, no! 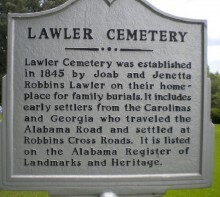 I’ve never heard of this in north Alabama! My Mother did take peas made into a patty to resemble sausage in a biscuit for her school lunch! She said she was so embarrassed when a renegade pea would roll in front of an “rich” kid with a real meat! yeah, but that rich kid probably has colon cancer now. 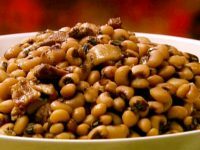 I remember my mother making “pea fritters” from left over black eyed peas when I was growing up. Betty Maze Patterson, my mother called that pea sausage, and that was what my dad carried in his lunch at the mine back during the depression. Bless their hearts, they had hard times! Pickle juice on my peas. Sweet pickles, homemade of course. 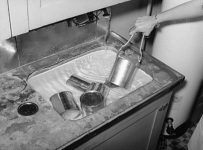 My granddad said people used to put syrup on everything. I believe it came from the great depression…it added calories. Peas,corn,tomatoes,vinegar and corn bread. Not from Alabama but still know what is good! 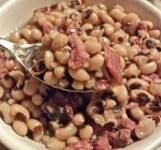 Green black eye peas with snaps and boiled okra, lambs quarters, home canned tomatoes, cornbread and turnips if ur lucky. Still my fav meal. Pile it up! Yummy! Hellman’s mayo with mine, please!! WHICH restaurant in Northport??? Don’t leave me hangin’ like that. Somebody else said it was Blue Plate Diner. Fried okra, peas, cornbread and pepper sauce! Got to have cornbread, onions and sweet tea. Makes me hungry. My husband loves any beans with mayo. 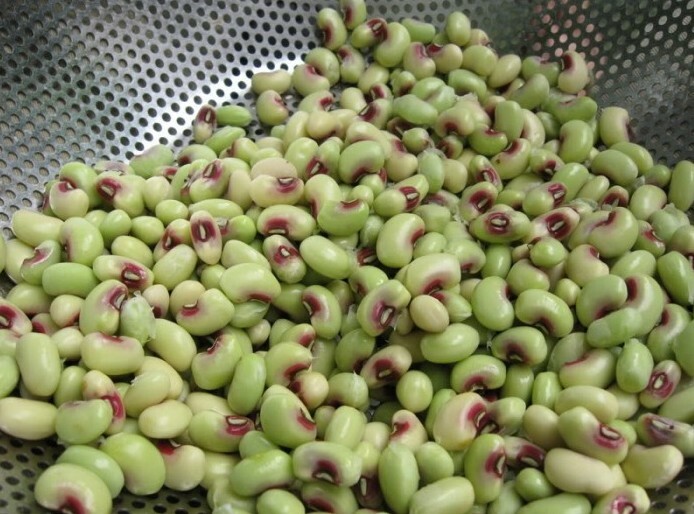 Purple hull peas…grew up with them in Alabama and now can’t find them in NC. Boy do I miss them. I love mine with diced tomato and diced onion and fried okra. I mix it around and the tomato juice mixes with the pea juice with the crunch of the okra it is to die for. I need some right now. My momma used to make the best fried okra,but the only place that serves it around here is Cracker Barrel,and I order it every time we eat there. Secrest in Monroe has about four different varieties of purple hulls. We bought seed. She said it would do a 50′ row. We should have plenty. I PUT PEANUT BUTTER IN MINE. My late dad loved molasses on his peas. I’m with Darrell on the mayo on peas. I love peas – but UGH molasses. Fresh peas with homemade pepper sauce and corn bread…add a few slices of onion and that is heaven. I couldn’t live without my peas. Any type of field peas cooked with lots of bacon and some fried grits to go with it. You can’t get much more Southern than that! As a child, I ate peas with a little ketchup. That was probably the way my wise mother got me to eat them. Several years and pounds later, I like them just fine w/o ANYthing except cornstick bread. 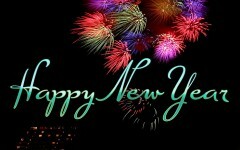 Thank the Lord for all these blessings! My grandma made the best field peas! My Grandpa Morgan always ate his English peas with his knife. I don’t know if he was doing this for the benefit of the children but I never saw him eat them any other way, never saw him drop one either. That is s very old English nursery rhyme ….